Wayne, Pa. (May 22, 2018) — Tekni-Films, a Tekni-Plex business, will be discussing its recently-launched super barrier-coated (SBC) thermoformable film for pharmaceutical blister packs at MD&M East, June 12-14, Jacob Javits Convention Center, New York City, Booth 1839. Tekni-Films SBC 240 is being positioned as a performance and improved-cost alternative for 4- and 6-mil PCTFE and cold formed foil for thermoformable blister applications. The triplex structure is ideal for applications such as pharmaceuticals, nutraceuticals, probiotics and other related products. Tekni-Films will also be discussing its TekniMD® PX copolyester film series with grades that provide a cost effective alternative to PETG for thermoformed medical tray packaging. 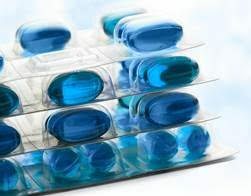 The company also offers a laminated alternative to PVC for thermoformed pharmaceutical blister applications.